Sescheron, the fallen. Once the most powerful of the cities that served to keep Mount Arreat from unworthy hands, this bastion of the Children of Bul-Kathos endured for countless generations. It was the walls of Sescheron that stood against all comers, and it was those very walls that fell when Baal, the Lord of Destruction, sought the ancient Worldstone for his own destructive ends. Now Sescheron lies destroyed, a ruin waiting exploration and plunder, the barbarians who once served to defend it all but gone. The origins of Sescheron lie in the purpose for which Bul-Kathos united the tribes and created the Barbarian culture. Namely, the defense of the Worldstone from the unworthy. The Worldstone lay in the heart of Mount Arreat, and the Children of Bul-Kathos dedicated their lives to its defense even as they ceased to be a unified nation. Even as tribes that made war on each other from time to time, they still kept Mount Arreat as their holiest of holies, and so Sescheron grew as their greatest city, a massive armed camp that served as the seat of power for many kings. It is unknown exactly when Sescheron was first settled, but by the time Baal arrived, its defenders could boast it had stood for many eons. Baal destroyed it in a day. The fall of Sescheron was the beginning of the end for the barbarians. Baal had come to Mount Arreat seeking the Worldstone in order to corrupt it, and in so doing, allow his corruption to spread through it to the world it had created and the beings whose very souls it was holding in check. While it took Baal and his Army of Destruction some time to reach the Worldstone, in the end it was inevitable that having destroyed Sescheron he would do so. We knew little of Sescheron’s ultimate fate even after its fall — so total was its destruction that the barbarian defenders of Harrogath could only say that they had ‘lost contact’ with it. But now we know more. Baal’s coming has cost the barbarian people far more than we had realized, for it didn’t just destroy their sacred mountain, but it cost them Kanai. Kanai was a Chief Elder, and according to the barbarian Skular, Kanai had the best chance to unite the tribes fully under his banner since Worusk. 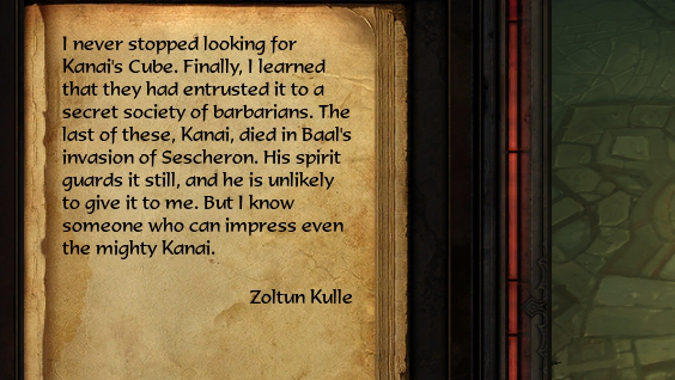 This is a high compliment, for Worusk was the only barbarian since the mighty Bul-Kathos to be styled ‘the Immortal King’ and to even mention Kanai in the same breath as him was and is a great honor. Kanai was the one who ruled in Sescheron and it was he who led the defense against Baal and his demons, and he fought with both courage and wisdom. His presence gave his people hope, but such can be made to work against a force — strong with Kanai there to inspire them, they became demoralized when Baal’s forces managed to kill the Chief Elder, and Sescheron fell. Worse yet, after Baal’s forces besieged Harrogath and the Lord of Destruction reached the Worldstone, Tyrael was forced to destroy it. 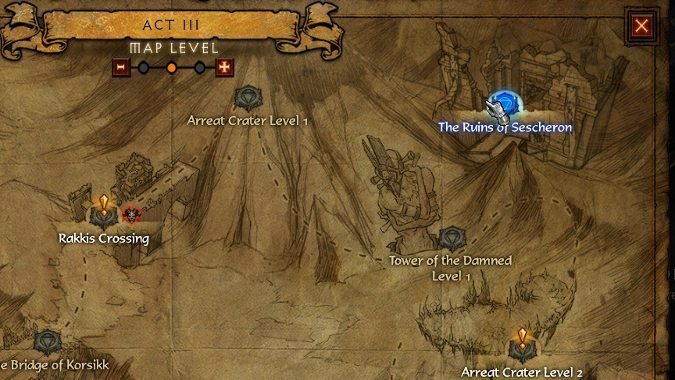 This act removed the limitation that the Worldstone had created, preventing humankind from displaying the true power of a nephalem, but it also annihilated the very reason the barbarians had to exist. Worse, the destructive corruption Baal had sought to inflict on the Worldstone seemed to infest what would become known as Arreat Crater instead, and many of the former Children of Bul-Kathos were transformed into insane, ravening things called the Unclean. 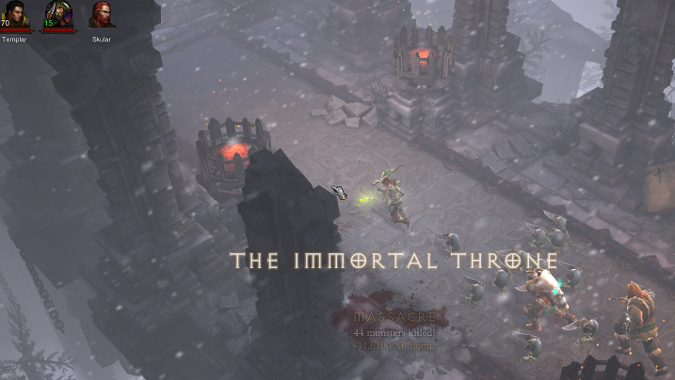 Within Kanai’s tomb (known as the Immortal Throne) lies a treasure of untold power, lost when Sescheron was destroyed. Named for this last and greatest king of the barbarians, Kanai’s Cube is a relic of power, the inspiration and forerunner for the Horadric Cube of lore, but possessed of far greater power and sophistication. Zoltan Kulle’s spirit sought the cube and even after his death he desires it, for its power was so great that even the Horadrim feared to wield it. But to me, the Cube pales in comparison to the chance to walk the streets of lost Sescheron. This city stood vigil over Arreat since the days of the original nephalem, set in its purpose by Bul-Kathos himself. It’s a shame and a travesty for this vast city-fortress to lie infested, its streets choked by monsters and the mad. Is the destiny of Sescheron to be plundered by treasure seekers, even the tomb of the last great king, Kanai? Is all that remains for the city that stood against Baal to be plumbed, the Immortal Throne itself explored in a quest for a magical artifact that Kanai’s very spirit still seeks to protect? Can Sescheron rise again, can the Children of Bul-Kathos escape this seeming doom that has fallen upon them, or will Baal be proven triumphant? Have they already been destroyed, and all that’s left is for the last remnants of their culture to descend into the madness of the Unclean? Sescheron stood as the bulwark against those that would destroy Sanctuary. Now it lies in ruins.